Looking back: A must-see-and-do list for Paris. My friend Jessie was heading to Paris and asked if I had any advice on where to stay, what to see, and the must-do items I learned from my travels, so I created this list. Get this Paris offline map on your phone!! Download this bit of brilliance to your phone. I have found it indispensable- you don’t need to be connected to wifi and it doesn’t use data roaming to work– you can find the nearest metro, a Starbucks (if you need wifi), a grocery store (like a ‘franprix’ or ‘carrefour’), museums, galleries, (and many other things), and always find where you are and which direction you are facing. It’s free. And awesome. -delicious fish and chips, UK style. 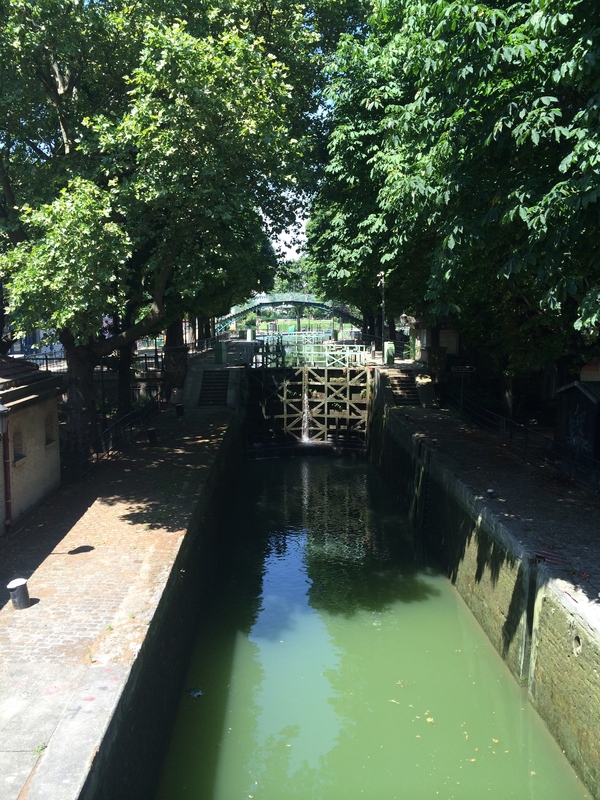 And if weather permits, taking it over to the banks of the Canal St Martin to eat it. 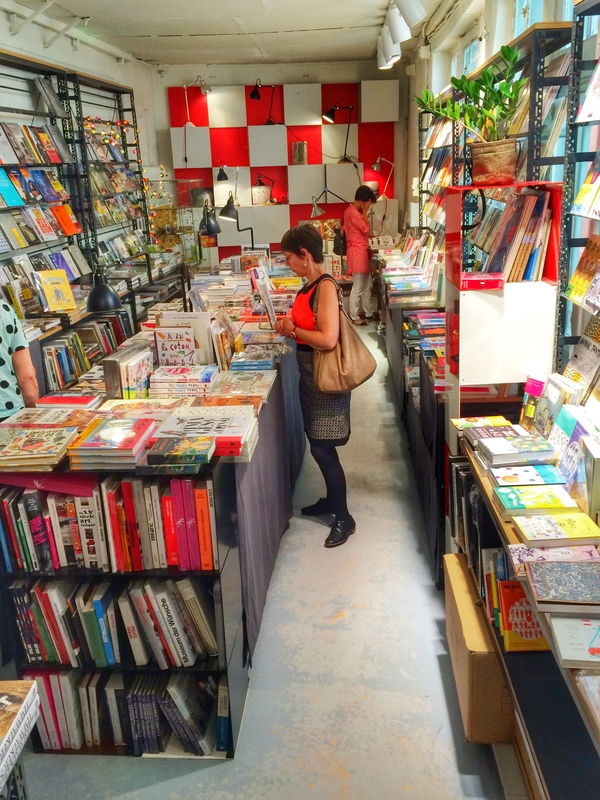 The Artazart bookstore and boutique by the canal St Martin- honestly the coolest selection of books ever. Plus other cool things, but dear god the books. I could have bought a dozen. A busy little tea shop with unbelievable desserts. In the Marais area, where there are all sorts of other fantastic eats. Laptops not allowed. Full of inventions, toys, design, engineering and architecture, it’s extremely cool to check out. This place is huge and remarkable. I liked it best on a cloudy day; you can spend hours here exploring ancient gravestones and famous resting places. I was interested in this place far more for the beauty than the celebrities. I know there are numerous art gallery/museums that will be recommended to you so this shall be mine. This beautiful gallery has a lower level of many artists, and my favourite part on the main floor: two rooms with wrapping floor-to-ceiling paintings of Monet’s water lilies like you’ve never seen them. You can also walk through the Jardin De Tuilleries afterwards, on your way to the Louvre or towards the Marais area. Rent ‘Velib’ bikes – if it isn’t too cold or rainy, this is a great way to get across town quickly and leisurely. You can rent a bicycle online or at a velib station with a credit card- it’s 1.70€ for 24 hours, and you can use a bike for up to 30 minutes at a time (as many times as you want) for no extra charge, so it’s great to get places a little quicker, or enjoy a ride along the Seine. We found it perfect in the evening- the least amount of traffic on the roads. The roads often have bike lanes and we always felt comfortable on the roads here- drivers and cyclists cooperate. The stations are all over the place, and there’s an app for that as well. There is nothing like buying some good cheese, a baguette, grabbing a bottle of wine and finding an outdoor spot to eat. Way cheaper than a restaurant and you can enjoy the beautiful evenings that Paris often has. Three of my favourite places are: along the Seine (by the Musee D’Orsay, or at Pont Neuf), in Champs Des Mars- the park at the base of the Eiffel Tower, or the Jardin du Luxembourg. Speaking of the Jardin du Luxembourg: go there. 🙂 It’s huge, beautiful, and a fabulous place to walk through, or sit and people watch. My favourite place in the garden is by the Medici Fountain. (Nearest train line RER B- Luxembourg, or Metro: Notre-Dame-Des-Champs)- you can also walk here from the Odeon station. This was a very late discovery and we went there to check out their outdoor movie festival, but the park and area have even more to offer than that. In addition to all the pathways and walkways and playgrounds and artwork here, there is the largest Science Museum in Europe, The City of Music museum, IMAX theatre (in La Géode, pictured above), and numerous venues for music and events. You can walk a lot in Paris, but if you take the metro, my suggestion is to buy a pack of ten tickets. I think you can use the same ticket for 60 minutes (any direction) on the metro but don’t quote me on that. I don’t know the bus system very well aside from the fact you need tickets (or exact change) for buses too. In terms of food, there are endless possibilities. Crèpe stands are all over and the price is often very reasonable, boulangeries (bakeries) are common and amazing, and fruit stands (even sometimes in the metro stations!) often have the absolute best fruit you’ve ever had. If you want the most concentrated restaurant options, get off the Metro at Saint-Michel(just southwest of Nortre Dame) and head south. There are a lot of cool restaurants in the Marais area, just west of the Etienne Marcel metro stop, and Rue Mouffetard (right by the Place Monge Metro stop) is another awesome spot for a variety of options. There are markets all over, and they happen regularly, often on a schedule like Sunday/Wednesday/Friday or Monday/Saturday. Fun to wander through and amazing selections of food, flowers, and sometimes housewares and crafts. Bring a picnic dinner, drinks, and your own blankets (or rent chairs and blankets for a reasonable price) and enjoy! There are new exhibits and events going on all the time, so check out TimeOut www.timeout.com/Paris/en for their ‘hot list’- a list of things to do and see each week. I found this site really useful. Loved it! It makes me want to go again and of course the pictures are delightful! Sara is Sue’s daughter and this is her blog, I find it delightful, you may go back and see their whole trip last summer if you like her style, it might give you some thoughts for your trip next year. G’mere.